A background in banking, plus a husband who is a former seafarer, makes her fit for the job of assisting the administrator of the Provident Fund in the operation of the office. It certainly makes the job closer to her heart as well. That is where Regina “Reggie” V. Lansang, the administrative supervisor of AMOSUP’S Provident Fund Office, draws passion in performing her duties and functions in one of the Union’s socio-welfare service programmes to its members. The Provident Fund is a benefit scheme for AMOSUP members wherein participating companies contribute to the seafarer’s account in the form of “forced savings” that will yield future earnings at maturity. It was established by the Union under several collective agreements it negotiated with various groups of shipowners. Reggie assists her boss in handling and monitoring all bank transactions of the Provident Fund Office (PFO), including giving out (through e-mail and telephone) of information inquiries as to the benefits and services related to the Fund that the Union extends to its members. She also deals with the nitty-gritty of clerical office duties from preparing employees’ payroll to maintaining files of all bank transactions/office expenses. “In the day-to-day operation of the office, we make sure that we efficiently serve the requirements of the members,” Reggie says. She notes that the office has expedited the processing of members’ claims from a waiting period of one month previously to the present two weeks over the last two years. Last year, it processed a total of 10,107 claims. The nature of her job is both secretarial and supervisory which is primarily to assist the administrator of the Provident Fund in its operation. Communicating and coordinating with international and local banks form part of her other duties with regards to provident fund concerns. As envisioned by AMOSUP’s founding president, Capt. Gregorio S. Oca, the Provident Fund was established to provide financial security to its members upon retirement. Though Reggie noticed that most of the members prefer to claim their contributions the moment they are qualified to do so. However, others also let their Fund stay to accrue interests. As bread winners of their families, many seafarers have no alternative but to withdraw their contributions as soon as they are qualified in order to finance the education of their children, pay their housing loans and for other immediate expenses. At AMOSUP, a qualified member is entitled to receive the total amount of his contributions, plus interest earned, in accordance with the Fund’s rules. The qualified member receives, in lump sum and in Philippine pesos, the entire amount contributed under his name, plus 100% of the earnings or interest. After 16 years in a private bank before joining AMOSUP, and married to an ex-seaman, Reggie surely knows how valuable the provident fund is to the seafarers when they retire. It cannot be denied, she insists, that the wife or beneficiary receives allotments that is normally more than enough for the mariner’s family’s daily needs. And that leaves more room for savings, especially if the seafarer’s wife also works, she opines. Reggie joined AMOSUP when the Provident Fund was established by the Union in 1988. She was then with Security Bank and Trust Company as executive secretary to the Fund’s future administrator, Mr. Conrado Silva. “One of our (bank’s) valued clients, Capt. 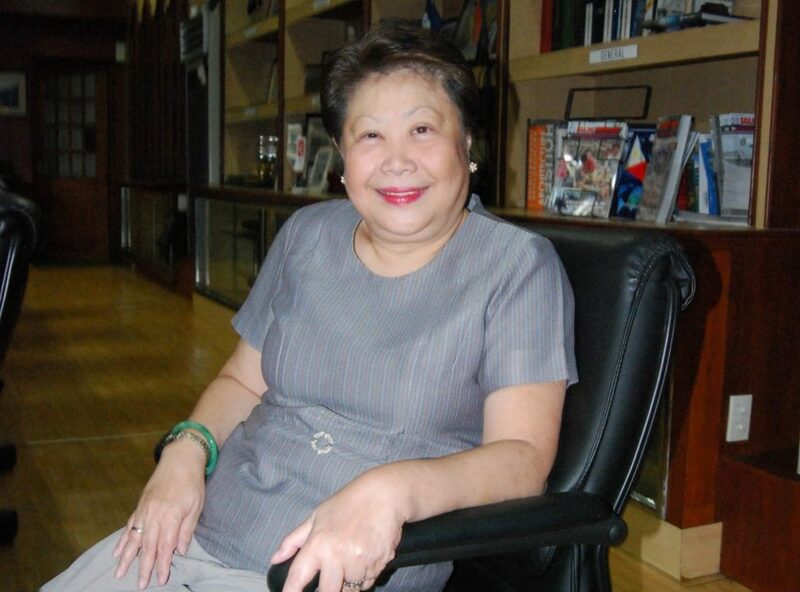 Gregorio Oca, was a good friend of my boss,” Reggie recalls her first encounter with AMOSUP’s late founder and president and how she was employed. Capt. Oca offered the administrator position to Mr. Silva, with Reggie consequently in tow. Today, all AMOSUP members who have been on board a vessel covered by an AMOSUP agreement with provident fund provision automatically become a member of the Fund. There are various types of Funds with varied rates of contribution. The members of the Fund are issued a passbook by their manning agents where their contributions are posted. To determine payment, members must present their passbooks to the Provident Fund Office for validation. A member can apply for the withdrawal of his contributions if he is either: a) 50 years old or b) has been a member of the Fund for 10 years or c) has been inactive from the Fund for two years counted from the date of his last disembarkation.